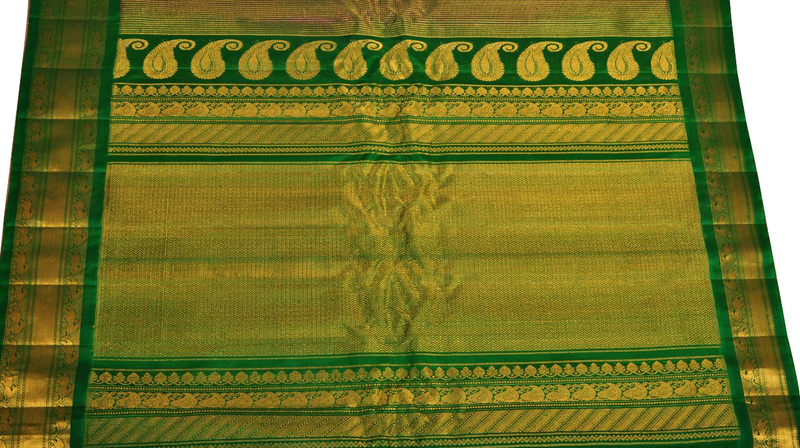 Gadwal sarees has interwoven threads, traditionally known as ‘Kupadam’ on the body and ‘Kumbam’ on the border. The designs and colours are adapted from temples and nature. This Hand woven Gadwal Silk saree exhibits the beautiful combination of Magenta and Green color. 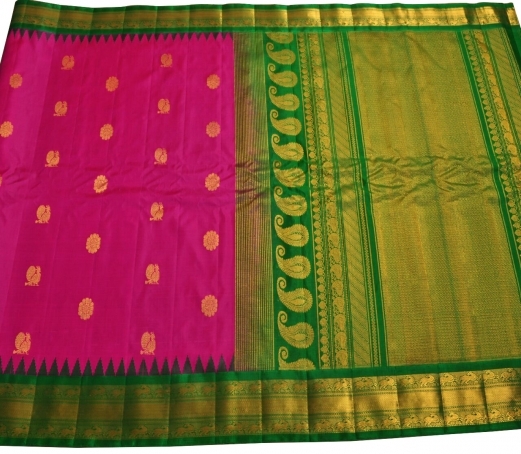 Wear this pure silk Gadwal Saree for any occasions in your life with jewellery of your choice.